The Halloween season is upon us again! 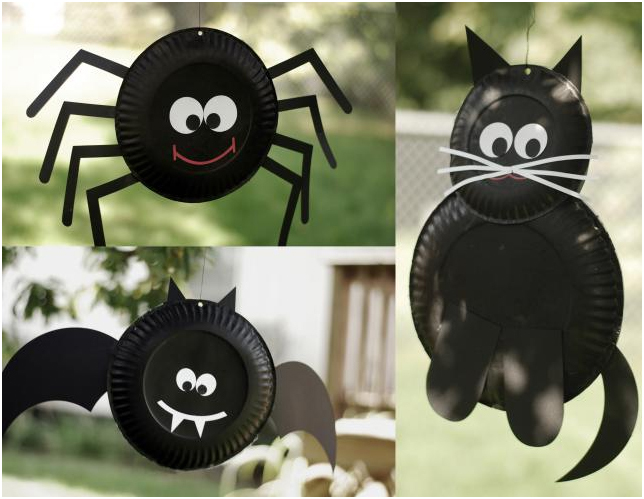 Decorate your home or classroom with spiders, cats and “Vampire” bats. 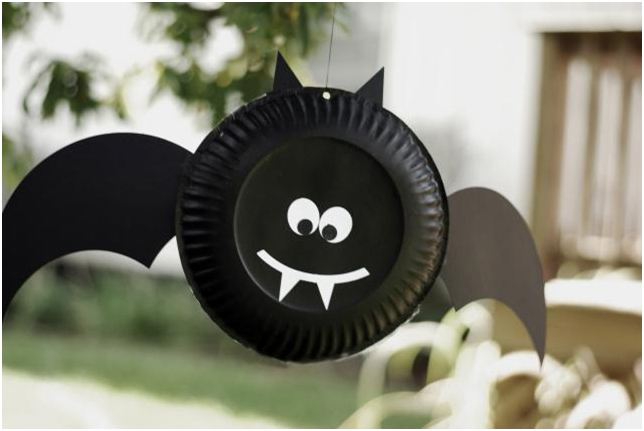 Paper plate Halloween crafts are fun for kids and grownups alike! They look so cute and aren’t that difficult to make. Vampire bats are associated with witches and Halloween. They feed on blood, that is why they are called “Vampire” bats. Our bat is not scary at all! I think he is cute and not threatening in the least. Very kid friendly! Paint the back sides of two large paper plates with black acrylic craft paint. 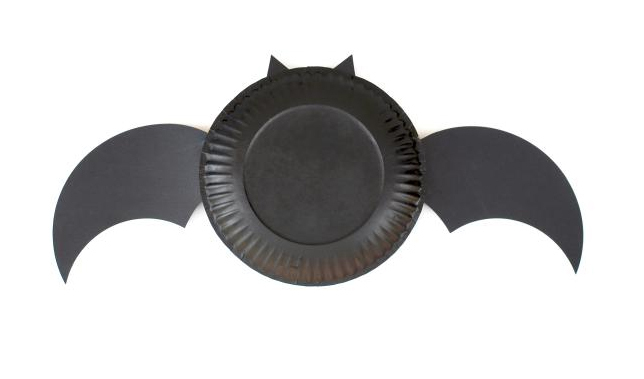 Cut two bat ears and two wings from black cardstock. 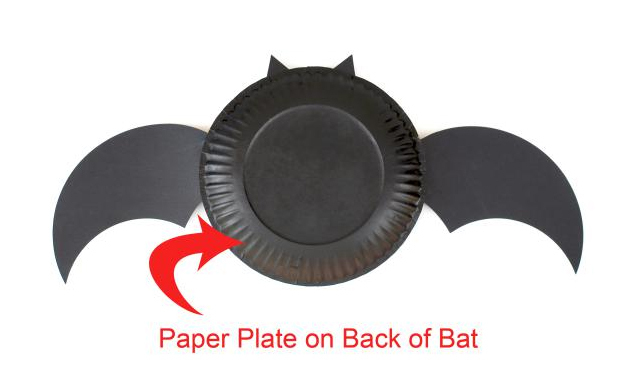 Attach the ears and wings with glue stick or hot glue gun to the front (unpainted side) of a painted paper plate. Cut the vampire teeth and eyeballs from white cardstock. Cut the eye pupils from black cardstock. Attach the pupils to the white eyeballs with a glue stick. 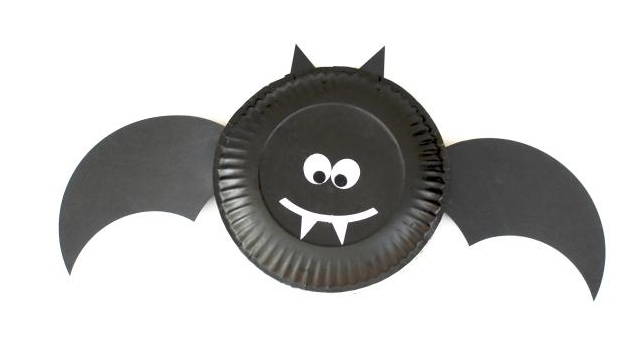 Glue the teeth and eyes to the back of the paper plate with a glue stick. Glue the second plate to the back of the bat with hot glue gun. Punch a hole at the top of the bat and run a string through the hole. Your bat is now ready to hang. 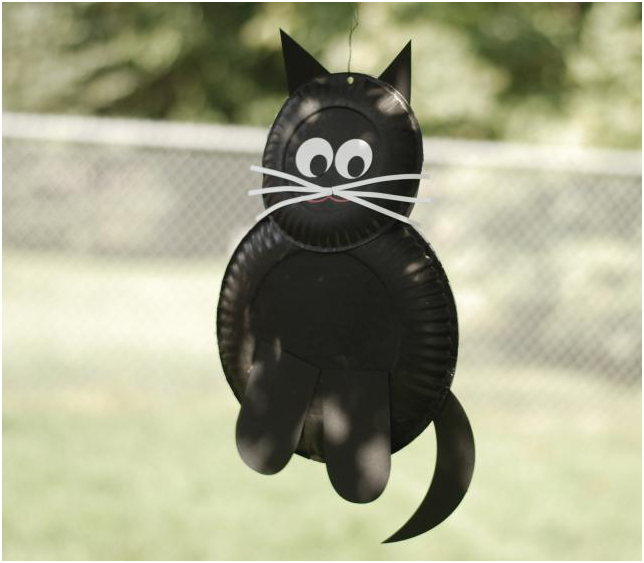 Black cats are a favorite symbol of Halloween. They were considered to be evil in ancient times. Some people even believed that witches could transform themselves into cats. There is nothing scary about this cat! Only cuteness! Paint the back of two large paper plates and two small paper plates with black acrylic paint. Cut the cat’s tail and feet from black cardstock. 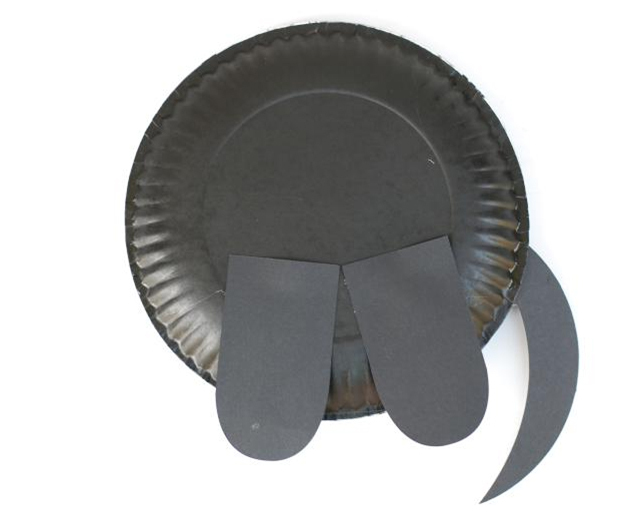 Glue the tail to the front (unpainted side) of one of the large paper plates using a hot glue gun. 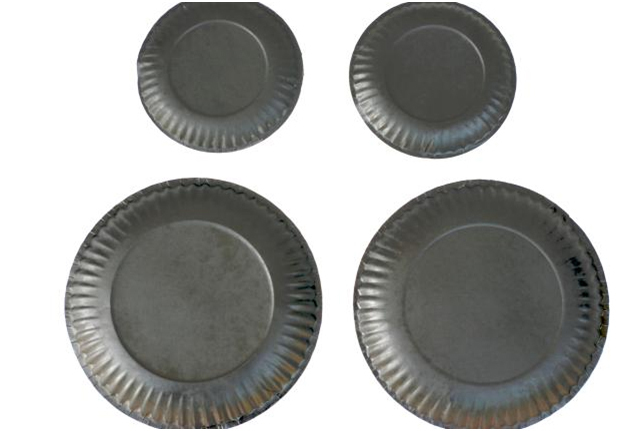 Glue the feet to the back (painted side) of the large paper plate. Cut the cat whiskers and eyeballs from white cardstock. Cut the cat mouth from red cardstock. Cut the pupils and ears from black cardstock. 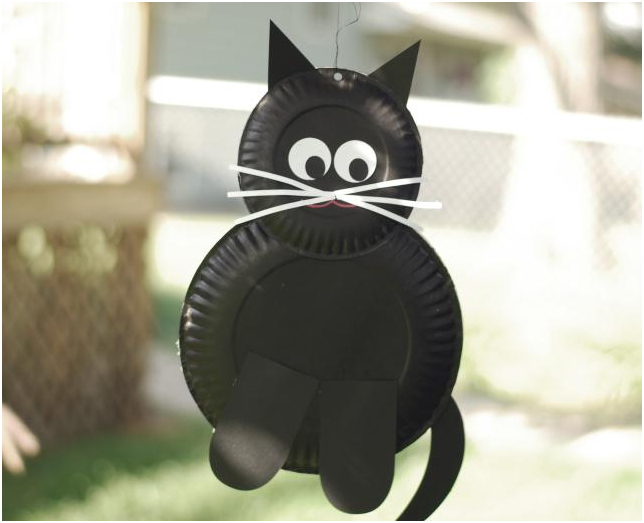 Glue the whiskers and eyes with a glue stick to the black (painted side) of a small painted paper plate. 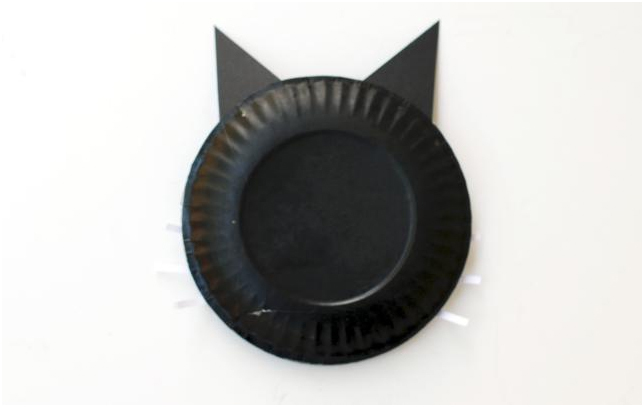 Glue the cat ears with a glue stick to the top front (unpainted side) of the small painted paper plate. 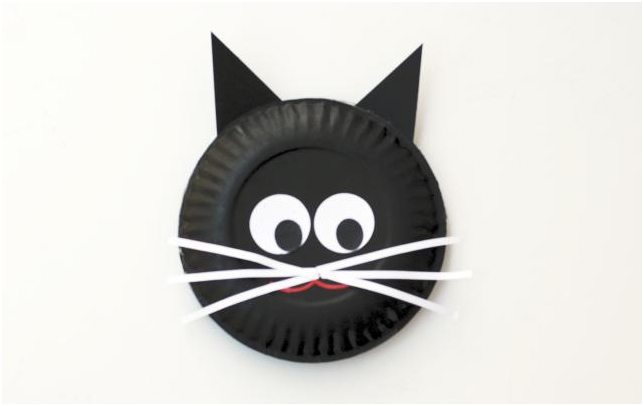 Attach a painted black paper plate to the back of the cat head with hot glue. *This is important. Only glue the top half of the head together. Leave an opening so you can slip the head over the body of the cat. Glue the head of the cat to the body with hot glue. Punch a hole on the top of the cats head and run a string through. The cat decoration is now ready to be hung. 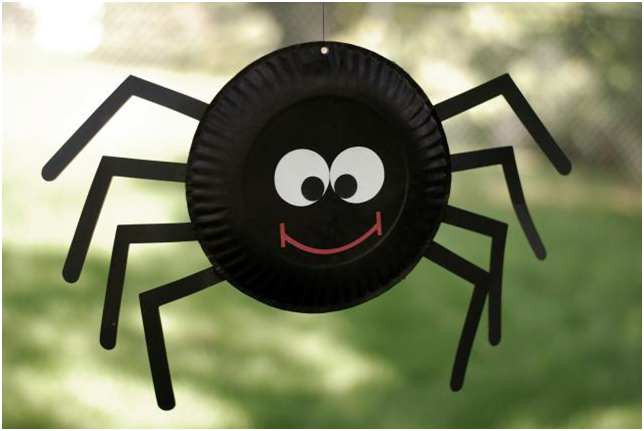 Spiders are a Halloween symbol because people in ancient times believed they possess mystical qualities. The ancients thought that because spiders wove webs, they were able to influence time and contained psychic energy. Our spider is non-scary and just darling. 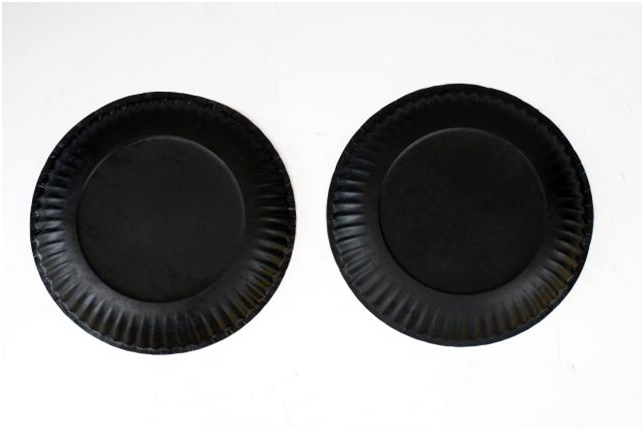 Paint the bottoms of two large paper plates with black acrylic paint. Cut eight spider legs from black cardstock. 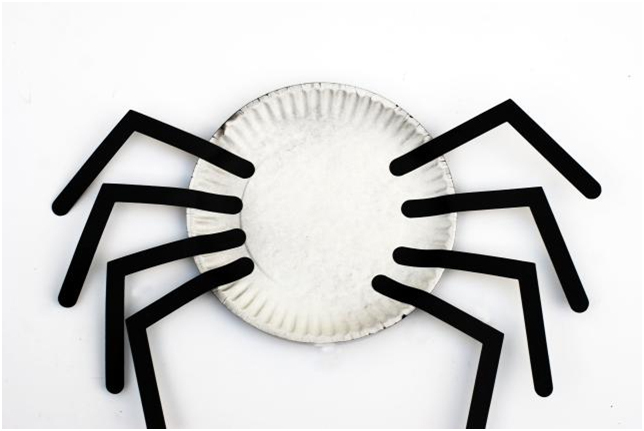 Glue the eight legs to the front (unpainted side) of the paper plate. Cut the eyeballs from white cardstock. Cut the pupils from black cardstock. Cut the mouth from red cardstock. 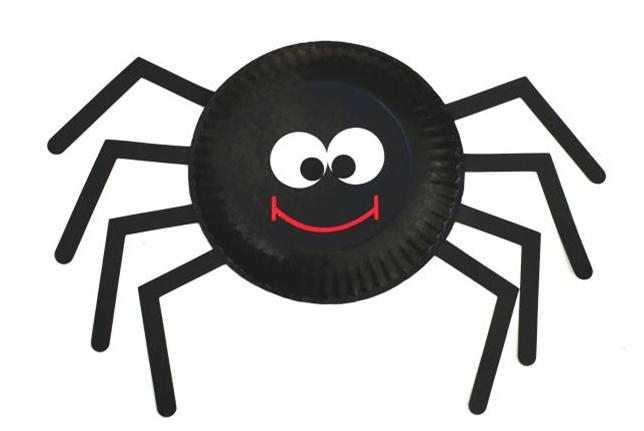 Glue the eyes and mouth onto the paper plate spider.